International Violin Day is celebrated on the birthday of famous composer, pianist and conductor Igor Stravinsky, born on this day in 1882. 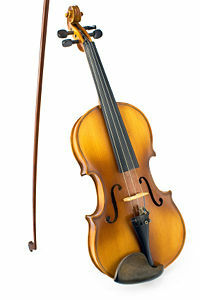 The violin, or fiddle, has been used in a wide variety of music styles ranging from classic, jazz, folk and even rock. It's a day to appreciate the instrument and the music it makes. Closely related to International Violin Day is National Violin Day which is celebrated on December 13th. This page was last modified on 17 June 2013, at 07:52.